Nowadays, the businesses actively move to the internet. Online product catalogs, e-commerce solutions, small and large web-stores provide instant access to million products. And the number of implemented e-commerce solutions is growing day by. Therefore, we decided to talk to Agiliway’s Web Development Lead and E-commerce expert Igor Katsiuba about the best or most optimal platform for implementing a new e-commerce solution. 1. Magento platform is free – yes, built-in Magento services include everything you need to create a shop and the entire functionality is free. There are also tons of free additional modules and themes for Magento development implementing specific functionality; you just need to download them and start using. Of course, there is an option of buying the Enterprise Edition version and get premium support, however, this one is not necessary to 90%+ of Magento users. 2. Magento platform is highly configurable which allows simple and easy e-commerce development process. The platform allows configuring almost everything your e-commerce solution may need. With Magento you can edit content without any software development knowledge or skill like PHP of HTMP, which is one of the essential requirements for the end user. Practically, you can customize the product for any needs of any business including services or “virtual” products like licenses or subscriptions – Magento offers different types in its base edition: Simple, Configurable, Grouped, Bundle, Gift, Virtual, and Downloadable. Even if you want to create a new type of product with very specific attributes and functionality, from the software development point of view it does not require significant resources, and this process isn’t that much time consuming. 3. Robust security – Magento is a really safe system, as a matter of fact, before the release, it passes a huge number of security tests which is critical for the system that maintains a huge amount of custom data. And even if any problem appears, the report of the issue is immediately addressed and security patch that fixes the problem is releasing. 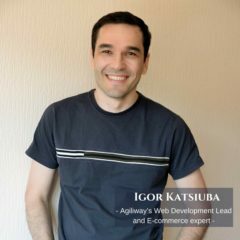 It is also a good suggestion to software engineers, who deal with the Magento extensions, to use the basic classes and methods that are designed to prevent the possibility of hacking the system. 4. Magento is extremely extendable – it has a lot of extensions and special e-commerce modules which implement any possible features to an e-commerce platform the person could think. E.g. you can set up any type of coupons and promotional discounts with Shopping cart/Catalog pricing system. And often you can avoid additional work with development, just search on the internet and download Magento module which implements the required functionality – it is 99% sure you will find such a module in few min. You can also check the following Magento repository that contains a number of really popular modules that are used worldwide. And the most important thing is that for almost each purpose there are a number of modules from multiple developers to choose from. 5. Magento is internationally integrated CMS – It has more than just multi-lingual support, though it’s the advantage, too. Magento has International Payment solutions, which gives the possibility to offer the payment with the most widespread and common payment systems. Also, it supports multicurrency, automated currency converter, and customs tax for different countries which is very comfortable for business. 6. Web API for integration with different systems – Magento Web API structure gives integrators and software developers the easy way to integrate other software solutions with Magento platform just in a few simple steps. For instance, you can incorporate with CRM or ERP back-end frameworks, like Salesforce or Xero and get your company data synchronized in the real time. 7. Guaranteed future support – Magento platform is very popular CMS, over 200 000 enterprises use Magento. 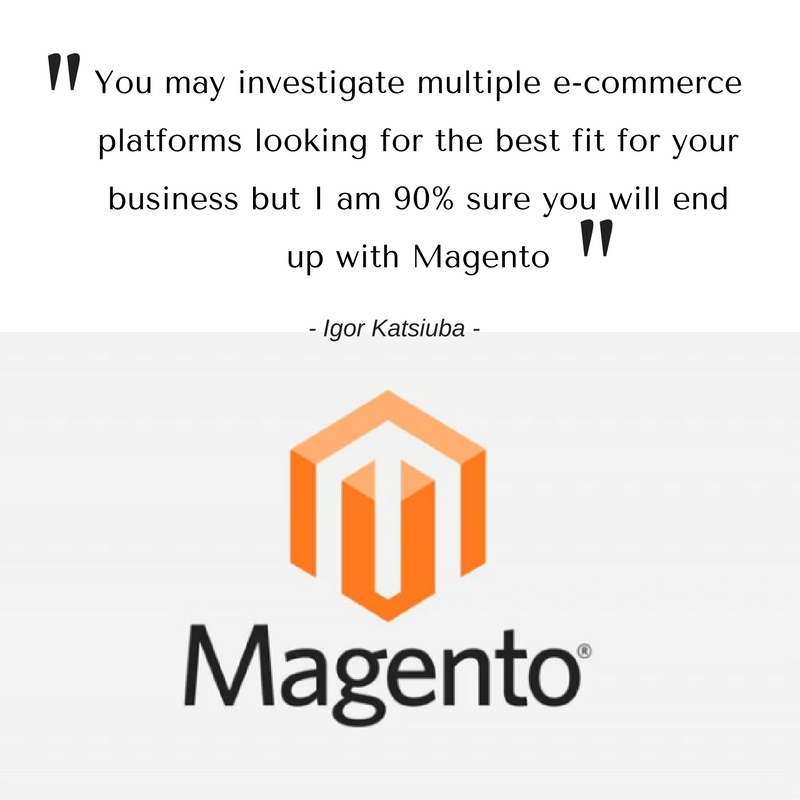 This fact indicates that a great number of business leaders and software developers are interested in this system, which guarantees the durability and quality of support to the web stores working on Magento.